The jacket is very nice. I love the embroidered jackets even better but you know what they say you get what you pay for. Maybe in a few months when you get a inventory of embroidered jackets that I like then I will be looking to buy one or two. 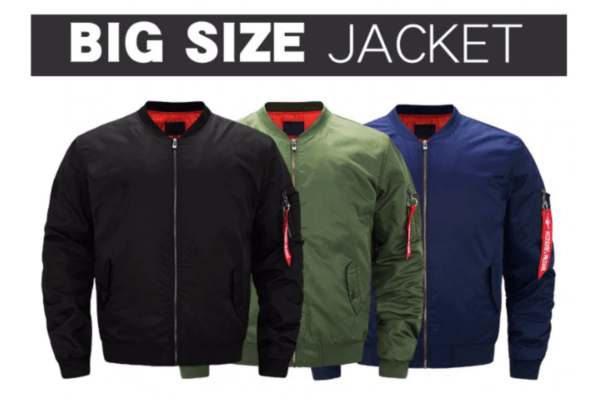 Amazon doesn۪t have many embroidered jackets and the ones they do are more expensive. The jacket is very nice. I love the embroidered jackets even better but you know what they say you get what you pay for. Maybe in a few months when you get a inventory of embroidered jackets that I like then I will be looking to buy one or two. Amazon doesn_t have many embroidered jackets and the ones they do are more expensive. The jacket is very nice. I love the embroidered jackets even better but you know what they say you get what you pay for. Maybe in a few months when you get a inventory of embroidered jackets that I like then I will be looking to buy one or two. Amazon doesn•À_ó»t have many embroidered jackets and the ones they do are more expensive. The jacket is very nice. I love the embroidered jackets even better but you know what they say you get what you pay for. Maybe in a few months when you get a inventory of embroidered jackets that I like then I will be looking to buy one or two. Amazon doesn‰Ûªt have many embroidered jackets and the ones they do are more expensive.